No other Marxist text has come close to achieving the fame and influence of The Communist Manifesto. Translated into over 100 languages, this clarion call to the workers of the world radically shaped the events of the twentieth century. But what relevance does it have for us today? 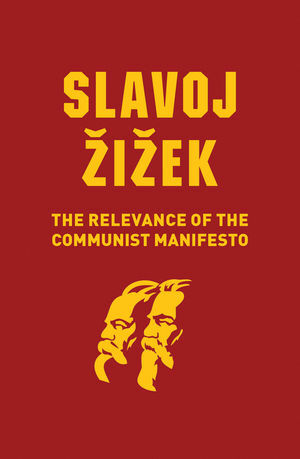 In this slim book Slavoj Zizek argues that, while exploitation no longer occurs the way Marx described it, it has by no means disappeared; on the contrary, the profit once generated through the exploitation of workers has been transformed into rent appropriated through the privatization of the ‘general intellect’. Entrepreneurs like Bill Gates and Mark Zuckerberg have become extremely wealthy not because they are exploiting their workers but because they are appropriating the rent for allowing millions of people to participate in the new form of the ‘general intellect’ that they own and control. But, even if Marx’s analysis can no longer be applied to our contemporary world of global capitalism without significant revision, the fundamental problem with which he was concerned, the problem of the commons in all its dimensions – the commons of nature, the cultural commons, and the commons as the universal space of humanity from which no one should be excluded – remains as relevant as ever. This timely reflection on the enduring relevance of The Communist Manifesto will be of great value to everyone interested in the key questions of radical politics today. Slavoj iek is Eminent Scholar at the Kyung Hee University, Seoul, and Professor at the Institute of Sociology, Ljubljana, Slovenia.